As a full-time freelance photographer, many of my assignments are more rewarding if I can squeeze a little bit extra out of them. That often means that I like to travel without too much equipment, or at least make the transporting part as easy as I can. 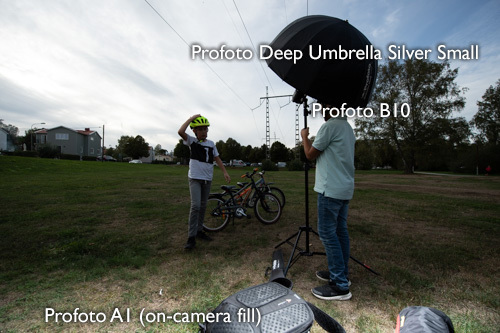 When I wrote my review of Profoto B10 recently, I got the chance to test if it would fit in my favorite lighting stand bag. And yes, it did. It even fit mounted on a few of the Manfrotto lighting stands I use on most of my assigments. Which can save me some time. 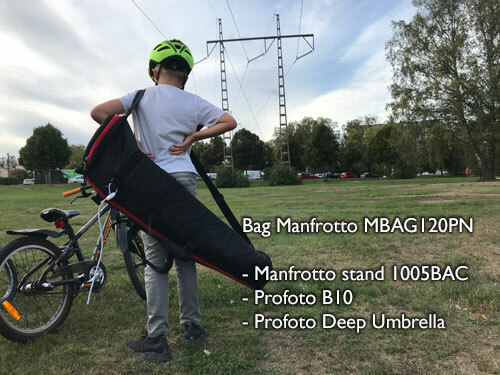 Above you can see how the 120 cm long Manfrotto MBAG120PN padded bag looks on a ten year old. Inside is a Profoto B10 on a 1005BAC stand plus the Profoto Deep Umbrella. Everything you need for quick portraits on location. The Manfrotto MBAG120PN is padded which is very good for many reasons, but the shoulder strap would need some padding as well. When carrying it filled with lighting stands, it tend to cut in a bit in my shoulders. My next mission is to find some good padding, if you know any brand that makes accessories like that, please let me know. Usually I bring along a couple of stands. 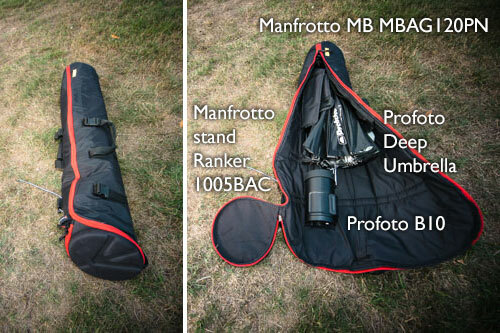 If I need something rigid and heavy, a Manfrotto 1004BAC is often enough. Or the 420B boom stand. For indoor work, the Manfrotto 1052BAC is much lighter. Both the 1004 and the 1052 fits inside the tripod bag with a Profoto B10 mounted, which is very convenient when shooting on location where I often change place a lot. Just fold the stand and put it in the bag together with the lighting modifier. A lot easier to transport one unit than two or three. It is a nice development that everything I need for portraits on location can fit inside a backpack plus a lighting stand bag. 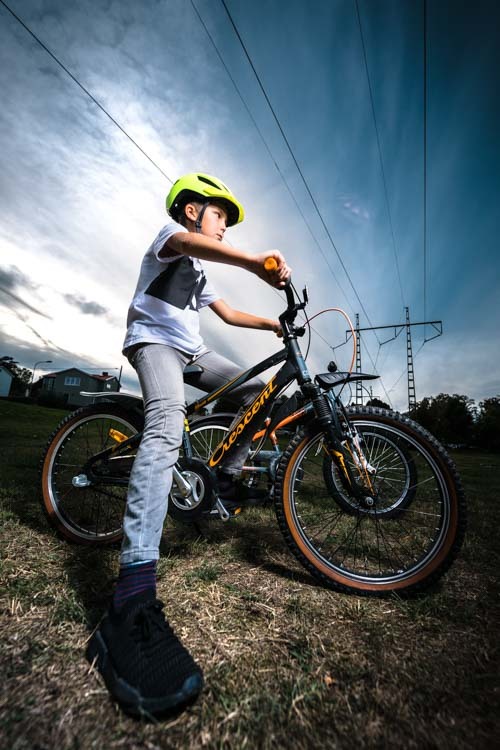 The first photo is using a two light setup with a Profoto B10 camera right with a small Deep Umbrella Silver plus a Profoto A1 on camera for fill. I think that you could fit another stand with a second B10 inside the bag, but then you would need some sort of protection for at least one of the monoblocs so they don’t grind against each other. If you have any smart solution for transporting and working with photo equipment on location in a lightweight manner, please write a comment. I am constantly working on this to make my work easier.